A new therapy for healing grief and trauma. 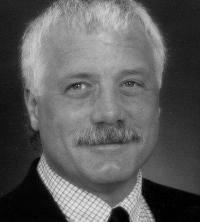 Dr. Allan L. Botkin, Psy.D. IADC® Therapy with Dr. Allan L. Botkin, Psy.D. Psychotherapists today are consistently helping grieving people experience a reconnection with someone who has passed away, resulting in healing deep sadness associated with grief. The method of inducing this experience, called “induced after-death communication” or IADC®, was discovered in 1995 by Dr. Allan L. Botkin, Psy.D. Consistent, robust clinical observations by a growing number of IADC® trained therapists across a broad variety of clients indicate that IADC® heals the deep sadness that is associated with death of a friend or loved one, and the results appear to hold up very well over time. Most people believe their experiential reconnection is real, but they do not have to believe in the authenticity of the experience to benefit from its profound healing effects. The method uses EMDR, but in a quite different way from standard EMDR. The research that supports EMDR does not necessarily support the way it is used in these treatments. Videos of the IADC discovery are available. 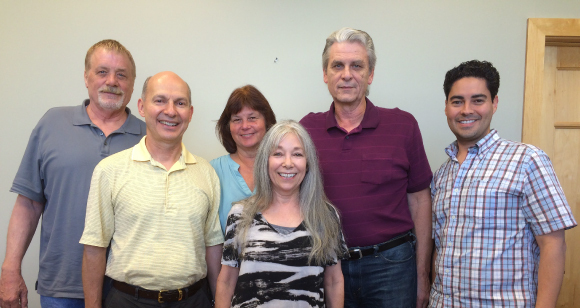 From L to R, Al, Gary, Juliane, Mo, Graham, and Cesar. Dr. Allan Botkin, and The Center for Grief and Traumatic Loss, LLC, would like to introduce the members of The International IADC Board. In addition to Dr. Botkin, the members are as follows. Juliane Grodhues, Dipl.-Psych., Director of European IADC, is an IADC therapist and certified IADC trainer. She is also the founder and director of the “Allan Botkin Institut Deutschland” in Saarbrucken Germany. Graham Maxey, MA, M.Div., LPC., Clinical Director of IADC, is an IADC therapist and certified IADC trainer. His practice is in Arlington Texas. He is also very involved in establishing IADC in Europe. Graham’s current projects include a control group design study of IADC and an interactive web site for IADC therapists worldwide. Mo Hannah, Ph.D., Director of IADC Research, is a professor of psychology at Siena College in New York and an IADC therapist. She also serves as the Director of IADC Research and has authored peer reviewed journal articles on IADC. Cesar Valdez, MSW, Associate Clinical Director of IADC, is an IADC therapist, certified IADC trainer, and serves as the liaison between the EMDR and IADC communities. Cesar is in Ann Arbor Michigan. Gary Beaver (retired), MA, licensed psychologist, Associate Executive Director of IADC, is an IADC therapist and certified IADC trainer in the Twin Cities area in Minnesota. He is also currently involved in a documentary film on IADC. Claudio Lalla (not pictured), MD, IADC therapist, IADC trainer, and Coordinator of Italian IADC. All of the above are excellent representatives of IADC and are available for speaking engagements and interviews. Contact information for each member is provided in the Trained Therapists section of this web site. 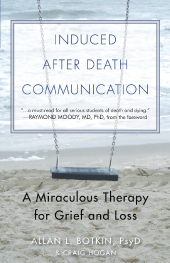 A full explanation of the discovery explained here is in the book, Induced After-Death Communication: A Miraculous Therapy for Grief and Loss. Purchase the book from Amazon.com. Listen to the latest interviews with Dr. Botkin and check out our upcoming events. 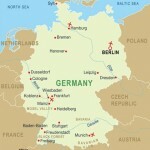 In January 2011 the "Allan Botkin Institute" opened in Saarbrucken Germany. For more information on German and European IADC®, go to www.IADC-therapie.de. Dr. Botkin's book, Induced After Death Communication, has been translated into German and is now available. 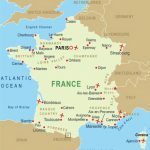 IADC is now rapidly growing in Italy and France. Induced After Death Comm-unication has been recently translated and published in Italian and French. While the IADC International Board (IIB) once had a working relationship with Mr. Andrea Leone and IONS Italia, the Board has unanimously decided to discontinue this relationship. The decision was due to their violations of professional ethics and standards. The IIB therefore no longer supports or endorses any use of IADC (i.e. IADC training and/or therapy) by Mr. Leone and IONS Italia. 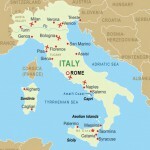 Only fully certified IADC therapists and trainers in Italy are listed on this web site.